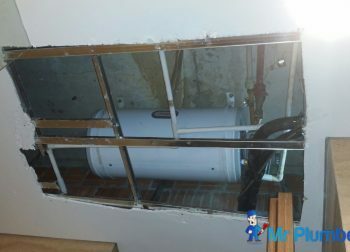 Clogged drain pipe seems like a small problem, but can eventually snowball into a big issue. 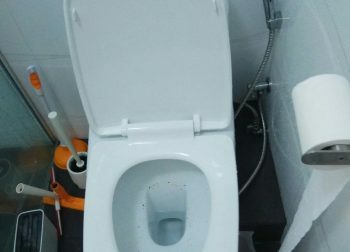 Clogging of drains can result in flooding, corrosion, slow water drainage and even sewage backup in acute situations, which can lead to expensive plumbing repairs. 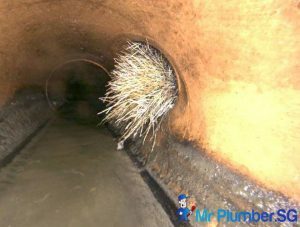 Find out about the 5 common causes of clogs in drain pipes. 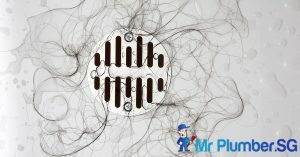 A common cause for blockages of drains is hair. The hair acts as a skeleton for sticky materials and grease to bind together with foreign material and lead to clogs. It is best to prevent the entry of hair into drains to be able to avoid blockages due to hair. Make sure that you install drains with guards that with hair catcher and also regularly clean the drain up. It is often possible for tree roots to grow into the cracks or joints of old sewer pipes, to seek nutrients and water. Old pipes made of clay or concrete happen to be highly vulnerable. 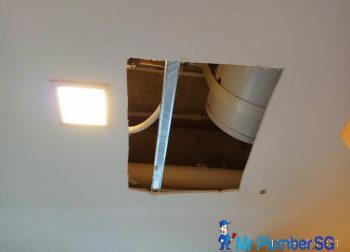 At the time of installation, these are not water tight always. This lets free growth of roots into the drain pipe, leading to drainage pipe choke and eventually crushing the drainage pipe material. This is seen more often in landed properties. 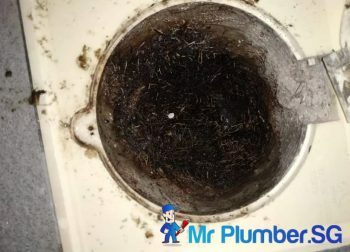 It is often reminded that when washing your dirty plates, to put up a filter on the sink, otherwise, this can choke the drain due to food waste accumulation in the pipes. It is especially important to note that grounded coffee, tea leaves and other food wastes that may not be broken down fast enough. 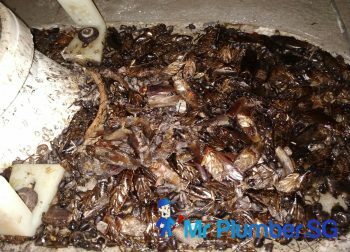 Over time these food items can accumulate within pipes and result in clogged drain pipes if the practice of not filtering the food when washing is maintained. Also, always drip the oil elsewhere instead of the sink as it is one of the top reasons sinks clog. Old clay and concrete pipes were mostly set up in 3-inch sections. Due to the movement and settling of the ground over many years, the pipes can start moving about. This can eventually lead to a pipe choke up. 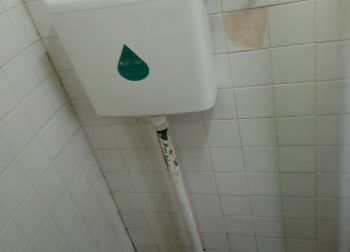 Pipe choke in Singapore can also be due to the buildup of soap material with grease in drain pipes. 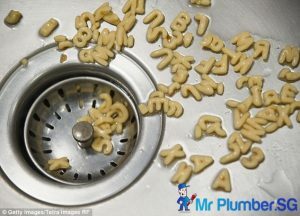 It is noteworthy that fat or grease present in regular soap mixes with the minerals present in water, and keeps behind soap scum – which is a firm residue – that clogs pipes and ends up staining the bath fittings. 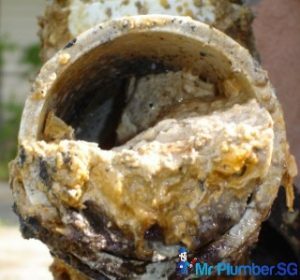 You can avoid this problem by opting for soap free washing, and pressure cleaning your pipes for the removal of soap traces that have accumulated.